We are H.S.L. H.S.L stands for help save lives. 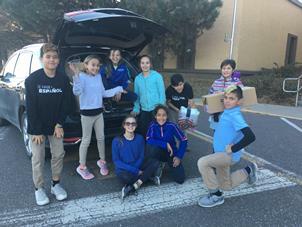 We are a group of sixth graders trying to solve issues around Minnesota and bring happiness all around. 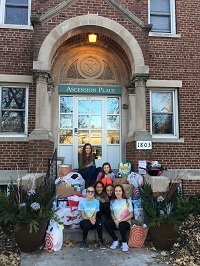 In the fall, we held a school wide drive and donated many household items to a local women's shelter in Minneapolis called Haven Housing. It was a great success! We would like to thank the ISLA community for their generous donations. For our next project, we are looking for ways to improve our school community like starting to compost in the lunchroom and recycle more around the school. March 19-26 is the last week of Winter Extra-curricular Activities. Monday Minecraft and Wednesday Young Rembrandts will have make up sessions the week after spring break. Spring activities will begin the week of April 9th. Do you want to practice your Spanish? Theater give you a great opportunity! In this activity you can talk, express and interact with the rest of the students and the teachers at the same time that you have fun moments with your friends. So if you are interested come with us every Tuesday after school, see you soon! Do you know what RPG stands for? Role Playing Games are growing fast and you can be a part of this. Are you interested in videogame creation? Want to apply your computer knowledge? We will be creating our own videogame without coding with your teammates. We will play the game and share it at the end of the year. Please have your student bring a nutritious snack and a water bottle for after-school snack time. Please be prompt to pick up your children. Any student not picked up by 4:50 will be sent to Compañeros. Every year on March 20, people around the world celebrate International Day of Happiness. A profound shift in attitude is underway all over the world. We are starting to understand that happiness should be a basic human right. Advertisers tell us that we need to buy their products to be happy, celebrities and the media claim happiness comes with beauty and fame, and politicians say that nothing matters more than growing the economy. 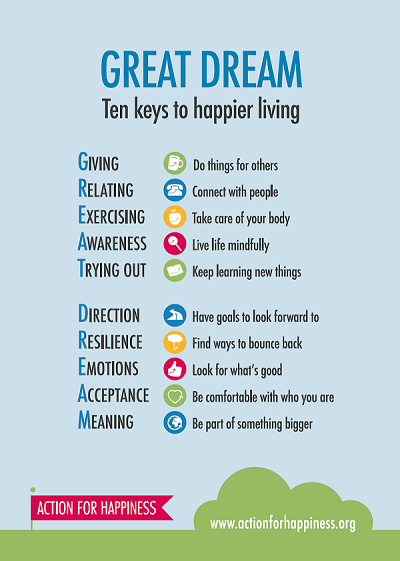 But the latest research from the science of well-being shows that there are several key areas that can make a difference to our happiness and they are within our control. Happiness is sustainable and starts from the awareness that we are enough; and that we have all the resources we need for happiness already inside of us. We can practice happiness habits, and like any habit, they eventually become our automatic, no effort way of being. These 7 Happiness Habits are coordinated for each day of the week, to help you and your family get started celebrating happiness. We will also be celebrating some of these habits at school during the next week. Soulful Sunday--A life of meaning contributes to sustainable happiness and helps you live longer. There are many ways to experience meaning; conversations with a trusted friend, getting in touch with nature, quiet moments that connect us to inner guidance, as well as something greater. Mindful Monday--The practice of focusing awareness on the present moment is a proven way to reduce stress, increase focus, enhance emotional intelligence and decrease anxiety. Grati-Tuesday--By intentionally focusing on the good things, we are affirming that there is goodness in the world, so the feeling of positivity grows. The best things about gratitude is that it not only increases positive emotion up to 25%, it also sustains it. If you want to jumpstart your well-being, this is where to start. Wellness Wednesday--Simply put, happiness is good for your health. Choose a form of exercise that you love. Get enough sleep. Choose foods that energize the body instead of dulling the mind. Take care of your body to feel energized and happy! Thoughtful Thursday--To feel good, do good. Giving to others releases endorphins, activating the parts of our brains that are associated with trust, pleasure and social connection. Social Saturday--Everyone needs connection to survive and thrive. Connection is important in boosting mental and physical health and even increases immunity and longevity. Make time for friends and family--your well-being depends on it! Other activities to ensure the content remains accurate and current such as adding new board members, LAs, etc. 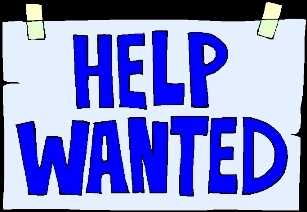 2018-2019 Language Ambassadors (LAs) Host Families Needed! Learn more about the program, find out what is expected of an LA Host Family and ask questions!